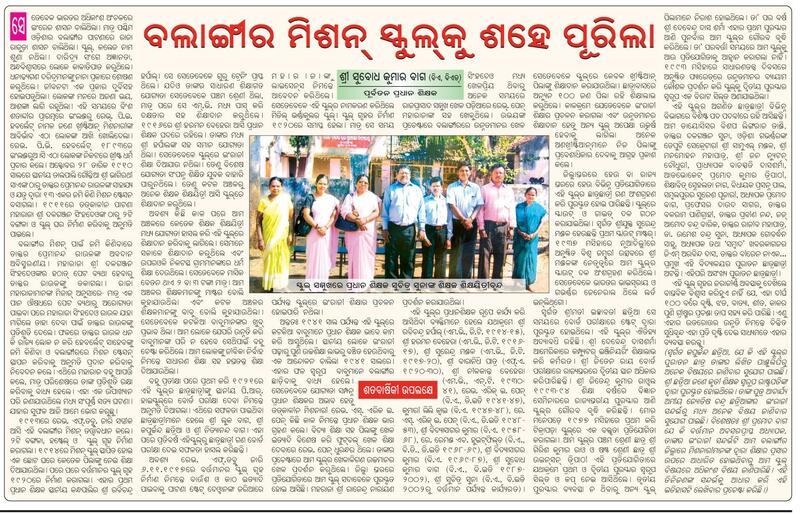 Prithwiraj High school of Balangir, one of the oldest educational institutions in the State, is in moribund condition due to poor management and negligence of the authorities concerned. Established in 1916, the school has produced more than 10 top students in HSC examination. Its science laboratory used to be an ideal one which was visited by many scholars from the State and outside. But the school presents a different picture now. The science laboratory and library are closed and the main library has not been used for more than 10 years. There is no power supply to the school for more than four years though all outstanding bills have been cleared. The school is running without a single toilet though it needs at least 12 toilets considering the student strength. There is no urinal even for the lady teachers. As the drainage system in the school has been damaged, water logging assumes acute proportion during rainy season. 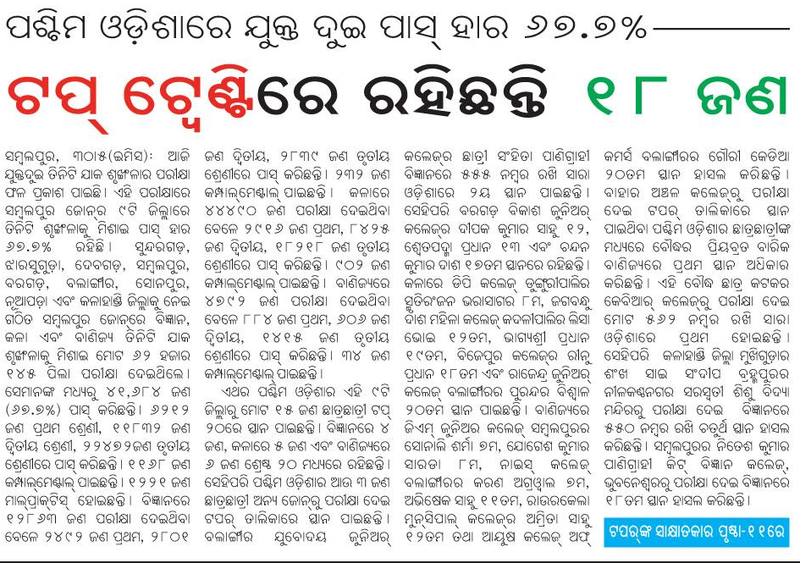 Due to space constraint, students and teachers face a lot of difficulties during examination. Though PWD department has constructed four new classrooms, those are yet to be handed over to school authorities. While lack of drinking water supply is another major constraint, the students are not willing to keep their cycles in the cycle stand in the absence of adequate security measures. Biswajit Dash, an old student of the school, said the science laboratory of the school was a modern one. “Our teachers allowed us to experiment in the laboratory. We had also computer facilities in the school,” Dash said. Admitting the deterioration of infrastructure of the school, District Education Officer Sanjiv Kumar Singh said the library needs some new books and the laboratory upgradation. Regarding drainage and toilet facilities, he said they were trying their best for the development of the school. BHUBANESWAR: About 54,000 schools in the state are slated to boast the status of model schools from November 30, with 33 components to be incorporated in each school to make them environment and child friendly. A replica of the model school or ‘Ama Vidyalaya’ was presented at the ongoing Survi-2011 children’s festival. “The model school here is really nice and beautiful. But my school is still the old one. It would be really great if it can also have these facilities,” said Somnath Patra at the festival, a student from Keonjhar district. “Each school has been given a particular amount of money to make the necessary changes to convert it into a model school or Ama Vidyalaya, the deadline for which has been fixed for November 30. The replica here will give the grassroots functionaries a clear picture of the concept,” said a senior officer of school and mass education department here. Schools making the transition to their model version will have a boundary wall, garden, play material like swing, see-saw, etc. The boundary walls will sport school information board, financial display board, idea box, height measurement scale, etc. A model school verandah will display the name of the members of the school cabinet and a toll free helpline number. The model school classrooms have been designed in a beautiful manner, keeping the needs of teachers and students in mind. Each of the four walls are designated for different purposes. While one wall will sport the blackboard, the other three will be students’ wall, teachers’ wall and Barnali wall, displaying activity based learning elements / pictures for the students. The students’ wall will have two boards — Ama Kama and Ame Taraka Mane. In Ama Kama children will display the classroom work or project work done by them, including creative works like drawings, crafts, etc. In Ame Taraka Mane (We the Stars), the board will be used by teachers to appreciate and acknowledge children’s talent, participation, contribution in curricular and co-curricular activities by writing their names on the board. The children may be selected as stars in a weekly rating, based on their behaviour towards classmates and seniors, attendance, and academic and co-curricular activities.